March is a middling month for the share market, ranking 7th of all months in performance. Since 1984 the market has risen in 59% of years with an average return of 0.7% in the month. 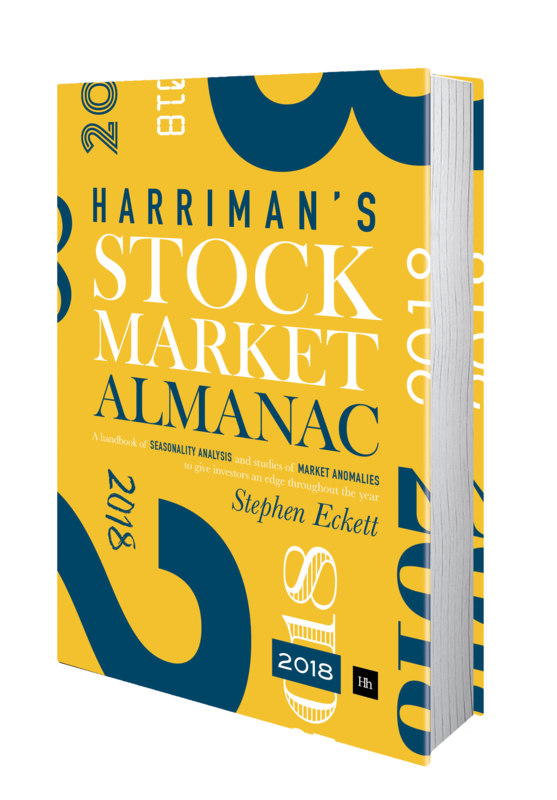 The general trend for the market in March is to rise for the first three weeks and then fall back in the final week – the last week of March has historically been one of the weakest weeks in the whole year. 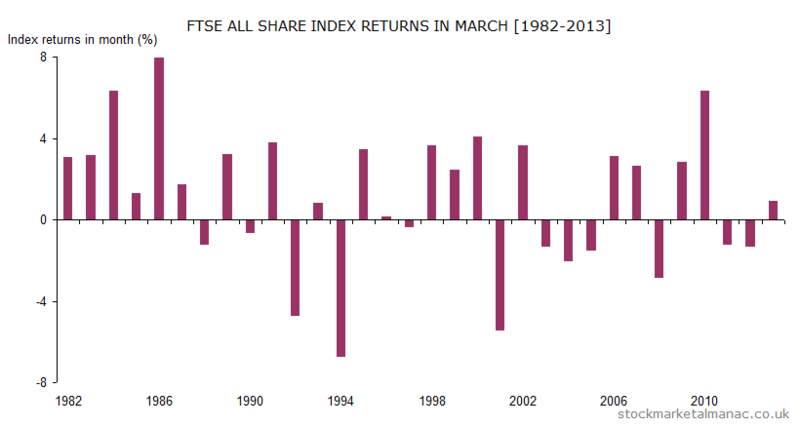 March marks the end of the 3-month period when mid-cap stocks strongly out-perform large caps: on average the FTSE 250 index has out-performed the FTSE 100 Index by 0.8 percentage points this month. In the last twenty years the sectors that have been strong in March have been: Financial Services, General Industrials, General Retailers and Industrial Engineering; while the weak sectors have been: Gas, Water & Multiutilities, Health Care Equipment & Services and Nonlife Insurance. For companies, the following FTSE 350 shares have performed well in March over the last ten years: Aggreko, Restaurant Group, IMI and Cobham; the shares of these companies have risen in March for nine of the past ten years and one company, Intertek, has risen in all ten. The shares that don’t seem to like March are: Aviva, RSA, Renishaw, RBS and HSBC; these shares fallen in March in at least eight of the last ten years. This is a busy month for results announcements – 29 FTSE 100 companies announce their preliminary results in March (as do 74 FTSE 250 companies). Quite a busy month on the economics front: MPC interest rate announcement on the 6th, US non-farm payrolls on the 7th, FOMC meeting starting on the 18th, and the chancellor’s budget expected on the 19th. The results of the quarterly FTSE 100 index review will be announced on the 12th; it’s difficult to predict these things too far in advance, but at the time of writing the position of William Hill in the index is looking precarious, potentially to be replaced by St James Place. It’s triple witching on the 21st, so be on the lookout for increased volatility on the day. The 6th March will mark 14 years since Vodafone hit its all-time high price of 399 (it’s still 44% below that high). And, to end on a cheery note, 12 March will be the 30th anniversary of the declaration of the 1974 national coal strike by Arthur Scargill.